Verizon is currently running one of the better deals on smartphones we have seen in a while. How does 20% off a phone sound? That includes Google’s new Pixel and Pixel XL, by the way. If you head to Verizon to buy a phone and then do so with a device payment plan, toss in code “SAVE20” at checkout and 20% will drop off the price. 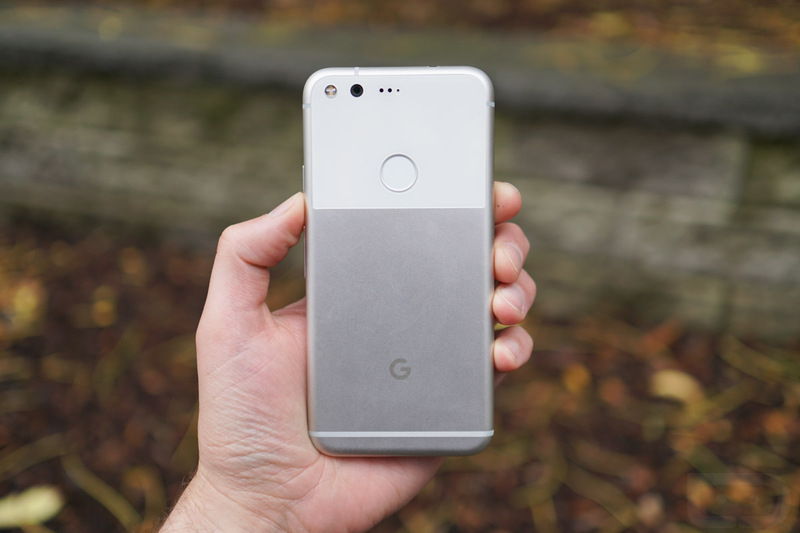 That discount brings the Pixel XL 32GB to $615.99 ($154 off, $25.66/mo) and the regular Pixel 32GB to $519.99 ($130 off, $21.66/mo). Not bad, right? Pair that code with Verizon’s up-to-$400 trade-in deal (new customers, up-to-$300 for current) for Pixels and you can walk away without paying much for Google’s new phone. The code may work for all smartphones at Verizon, though I haven’t been able to test them all. I did test the code as both new and current customer and it seemed to work. NOTE: As some have pointed out, this code may not work if you are getting a corporate or employer discount. Feel free to try the $100 off code below instead. 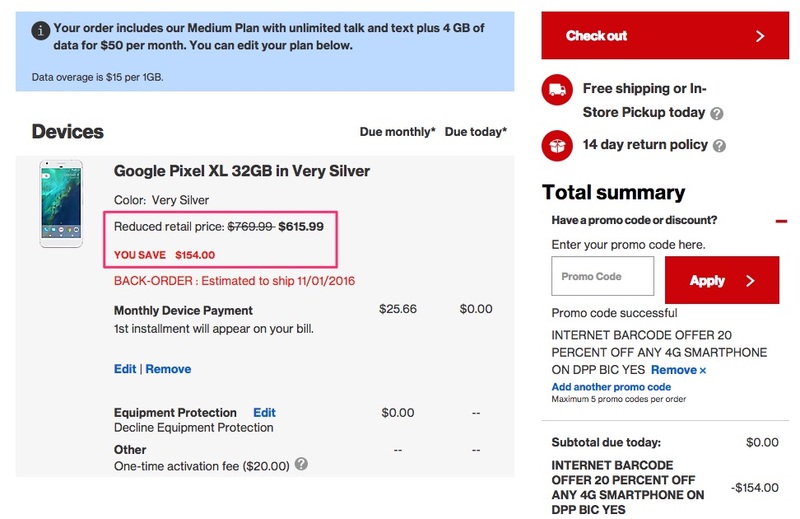 If for some reason that code isn’t working, Verizon is also letting current customer use “SMART100” to shave $100 off smartphone purchases with payment plan.